Arena is just as beautiful on the outside as she is on the inside. She is a mother of 3, an amazing wife, cook, fashionista, roper and all around friend! I love her big heart for family and faith and friends. This week’s interview I wanted to dive into getting to know her and life on the road as a pro athlete’s wife and mother and offer y’all a couple tips and a little insight to life on the road. So without further a do here is this weeks Graceful Glance into the life of Arena de la Cruz. A: For make-up I always wear sunscreen so that is a must for me! I am into green and gold eye shadows, Bad Gal mascara, lip tints and also lip stick. So those are always packed in my trailer. Now for fashion I always have my sunglasses with me! Then I am sure to have my boots, booties, skinny jeans, sweaters, leggings, hats and layering tanks. With the way we travel you never know what kind of weather you will encounter. Really I just take everything that I can. Haha! H: What is life like on the rodeo trail with 3 kids? A: It all is a little crazy to be honest it makes everything a little more interesting and there is never a dull moment. Going to watch Cesar is one of the hardest parts if it is a perf. I sometimes feel that my kids and I are more entertaining then the rodeo. Lol! 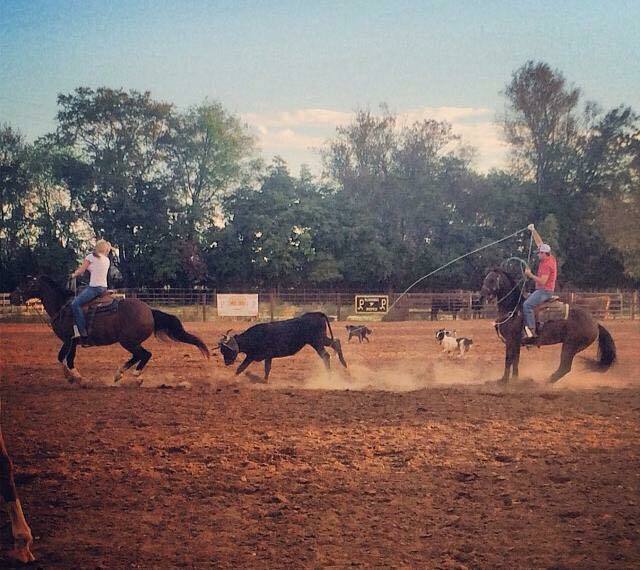 I like to take the boys to go do things other than just going to the rodeos. Some of their favorite things are going fishing, swimming, the movies and playing at the park! I try to help make things exciting for them. We like to have fun, they love animals so if we can we do just about anything animal related! 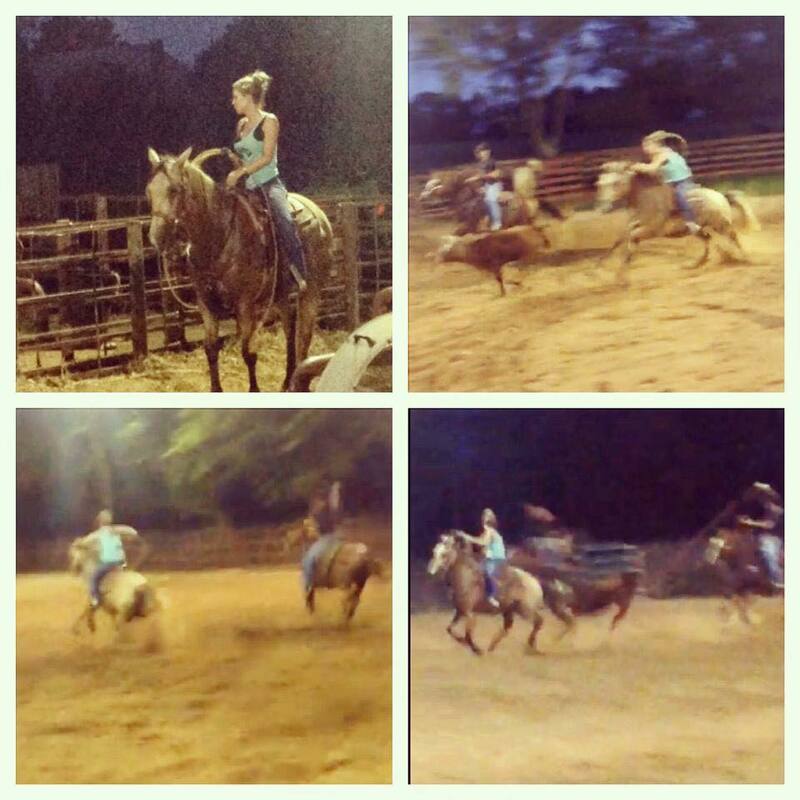 I have definitely learned there are other things to do besides just rodeos. But it is very important to me to be at the rodeo to support Cesar on every run. So now matter how hard it is getting there and the kids ready I always make it. H: Are there any traveling tips you can give other moms for long road trips? A: Movies, books, iPads or old phones and lots of snacks are key for me! We also can play I spy for hours lol! H: What is your favorite memory so far being on the road with your sweet family? A: Anything we do as a family is fun for me! I guess one of our favorites was all of us getting to spend time together in the North West! I didn’t think I would be able to go with Zorro since he was due August 27th but he came a little early so we all got to be together at the end of the rodeo season! I just want us all together as much as possible. The boys are growing up way to fast and I don’t want us to miss out on any of it! H: Being a mom of 3 how do you balance taking care of everyone and still have your God time? A: Well bedtime bible stories are a hit so that is always just a good reminder of His love. It is sometimes just those bedtime stories that I learn the most. But I try to get some God time in before bed every night. H: What is most important for you to instill in to your kids? A: God and respect are probably the most important things for me. I feel that they go hand in hand if you apply them. I want my kids to understand that they can be proud of their accomplishments and still be humble and thankful for the opportunities that they are given. H: With the Holiday season just around the corner what are you most excited for? A: I just love the Holidays!! Christmas is my favorite and the kids are so excited! It is important for me that they know what Christmas is about. I tell them that Jesus is so cool that everyone gets to open presents on His birthday not just Jesus! It is the most amazing birthday party of all time!! Ok just a few more questions! Haha!! Thank you so much for taking time out of your crazy busy life to let us take a look into what it is like to be you!! H: What is one thing readers might not know about you? A: I am actually a shy person, but I am working on it and trying to be more open, fun and outgoing! H: What is a power scripture you use to keep going? Arena thank you so much for taking the time to let us take a look into your life tonight! I hope y’all enjoyed tonight’s interview as much as I did. Life on the rodeo road and trail with a family can be hard I know but in the end it is so rewarding as y’all can see! They get to see so many amazing sights and have fun adventures! Though they may face adversity at times they are still together and a family. That is one of my favorite things about rodeo anyway it is all about family! Not only the family you have but everyone out there is family. They help each other when needed and also I know have lots of fun times! So with a little Grace and Style I am signing off tonight’s blog with a big XO!!! Love all of you fabulous readers! Just know that whatever is standing in front of you you can accomplish anything with Him! Keep the eye on the prize!!! This weeks Graceful Glance is with another one of my favorite people! I have been so blessed to get to know this amazing woman over FaceBook, texts and Instagram! We have been gal pals for less than a year but are defiantly kindered spirits for sure! I love when God blesses you with the opportunity to meet someone with a passion and desire similar to yours but still so different that you get a chance to learn and grow because of them! This is what I have found in my new dear friend and fellow blogger. So without further ado I would now like to present Brianna the beautiful face behind Bleacher Babe! Now that I am have formally introduced you to Brianna let us take a little glance into her life, style, goals and faith! H: What inspired you to start Bleacher Babe? B: Growing up in a rodeo family from Alabama, I have always admired the ladies and fashion of the West. Every time I would visit, I always came back with some pretty unique pieces. So many girls would ask me where I purchased them from. I also admired the Pro Rodeo wives fashion as well. Cowboys & Indians Magazine was my Cosmo! 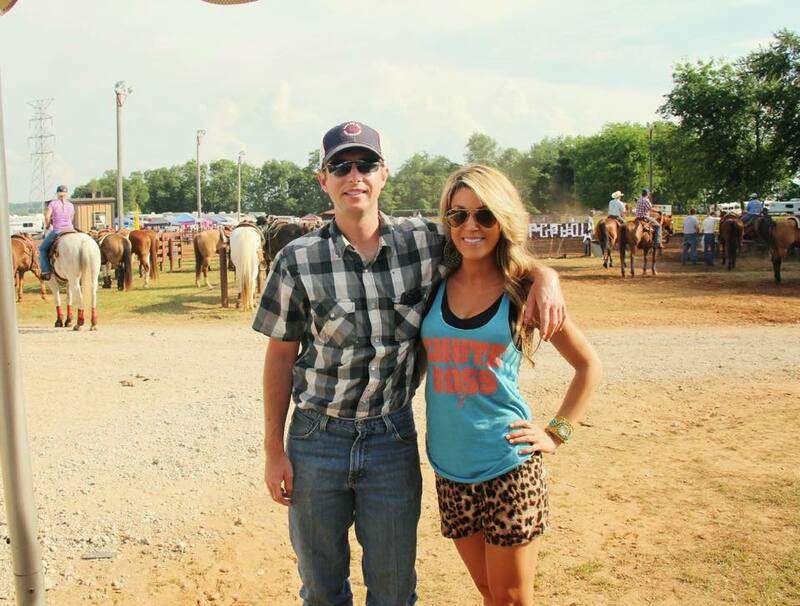 I always looked forward to the weekends where I could get all dolled up and strike out with Cole to the rodeos. I would sit with my “bleacher babes” and kill time discussing important fashion, make up and hair tips while trying to maintain my frizzy mane in our humid Alabama weather all while trying to capture the perfect video of Cole’s run! It’s a tough job, but someone has to do it! 😉 LOL! I thought to myself, if only I could connect with more girls!! I felt like BB would be the perfect avenue to share with all of the ladies resources from the western fashion industry & rodeo world. We were kind of behind here in the southeast. As of now, thanks to so many western fashion bloggers out there, we can all stay updated together. The SouthEast has come a long way in a short period of time. H: How long had you wanted to do BB before you decided to just go for it? B: BB had been a dream of mine a little over 5 years ago. It all started with Pinterest! 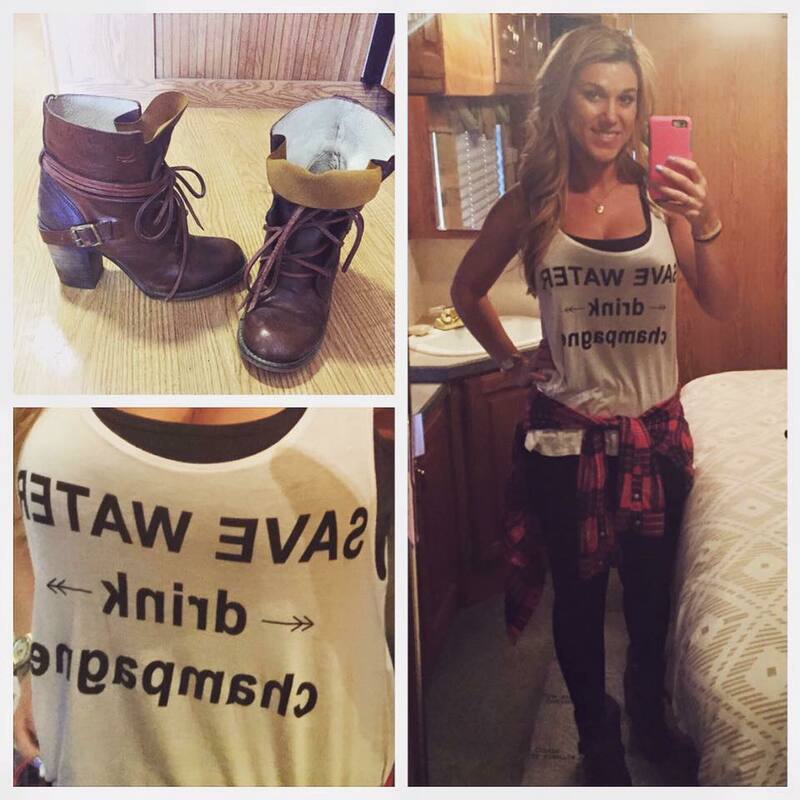 I had become hooked on reading Fashion Blogs and thought we needed more for the rodeo girls & girlfriends! 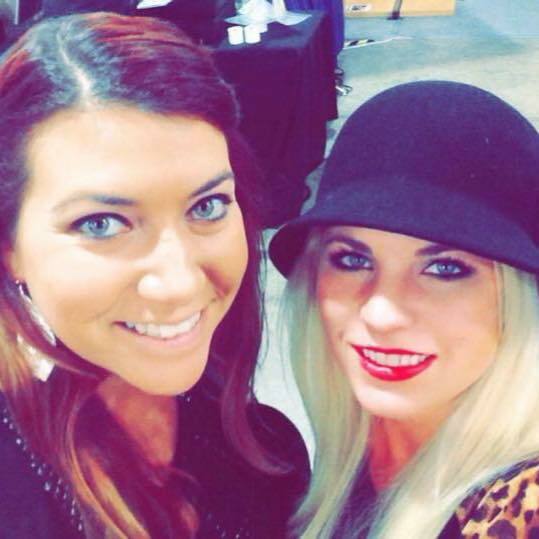 I stayed on my Ipad reading fashion blogs, pinning fabulous NFR outfits and connecting with girls like Kadee Coffman that shared the same taste as me! One night Cole finally told me to try doing one for myself! I was so scared, for weeks I put it off. I was terrified of being ridiculed and putting myself out there like that. Cole definitely encouraged me to push through and create one. I am so thankful that he did, because it has been an amazing roller coaster and has opened so many doors for me. I have truly made some amazing friends along the way. H: What was one thing that encouraged you to keep going when things seemed difficult when trying to start BB? H: You really inspire me goal wise, friendship wise and fitness wise and so much more. What is 1 piece of advice you could give readers who have big dreams? B: God is Great & His timing is precious. DO NOT BE AFRAID OF FAILURE! I have failed 10,000 times in my life but at least I know I have tried. God has a plan and it is perfect. If you want it, just GO FOR IT!!! Do not let people’s opinions be the one thing that is holding you back! You CAN accomplish anything you set your mind to! I truly believe that. Love yourself for who you are and don’t change that for anyone. Be YOUnique! A little Jeremiah 29:11 going on there! “For I know the thoughts that I think towards you says the Lord, thoughts of peace and not of evil to bring you a future and a hope! Now yall are seeing just why I love this pretty amazing lady!! She’s is awesome right?!!!! (Brianna doing what she does best looking good! H: Now to get into some of my favorite questions CLOTHES?! What are you most excited about for fall fashion? B: OMG!!! Although I admire and ADORE the western fashionistas such as Quincy Freeman & the ladies of Gypsy Soule, I am not a risk taker when it comes to fashion…maybe because I would get the weird looks thrown my way living in Alabama. But I commend the bold ladies that do. They are the girls that set the bar for us and I wish I could be more like that. #lifegoals. I do know how to find a good deal! #ballinonabudget. LOL My stye changes by the day! I am seriously digging the grunge look. I love functionality and looking effortlessly chic. I try to channel my inner Jennifer Aniston! The girl looks effortlessly put together, which is perfect for my lifestyle (ropings and running a rope shop). If I could Mix Tasha Polizzi in with a little bit of Jessie James Decker & Kylie Jenner’s makeup style, that would be my perfect fall look. Big cozy sweaters, motor jackets and biker boots with Squash Blossoms, white tee’s, ripped jeans and flannels. But being the primp queen that I am, my all time fave girly girl look is a Little Black dress, hands down. It’s timeless, classy and minimal chic. H: Your makeup always looks amazing is there a certain tip you could give readers that you think is key to having a flawless look? Marc Jacobs Re(marc)able Foundarion- This bottle of joy comes with a price tage, but a little goes a LONG way! I only use this for date nights or special occasions. My skin is oily so it leaves me with a matte finish with out drying out my face. No cakey residue. This lille darling will run you around $55.00. Once you have applied your primer and foundation, allow it to dry and then apply powder. I recommend Boots No 7 Perfect Loose Powder in translucent. This truly makes all of the difference when it comes to makeup when you have a good canvas to work with. These tips should hook you right up! Oh goodness gracious I think I need to try!!! H: You woke up late and have 10 minutes to get ready? What is your quick go to outfit and hairstyle? B: At 29 years of age, I am just now starting to find myself and learning new things everyday. I didn’t realize that I could ever be thick skinned, or so passionate about things. I have always been afraid to really try anything because I am afraid of failure & criticism. I grew up with low self esteem but through my readers and fellow bloggers I am slowly finding my confidence. Brianna you are truly amazing thank you for sharing that with us! See ladies we all have struggles in life it is our choice to be the victor of our own lives! We just have to be willing to go for it!! So proud of you girl! H: What is your favorite thing to do in your down time? B: I LOVE TO PIN things on Pinterest! It’s seriously an addiction that I need to seek help for! I also love to cook, workout, Team Rope, primp for date nights and do yoga in my down times. Thank you! Thank you! Thank you Girl for gracing all of us with a little peek into your life as a blogger, girlfriend, fashionista and well so much more!! I can not wait to do more blogs with you! Ladies be on the look out for another follow up blog with Brianna and her fitness journey! It is sooooo amazing!! 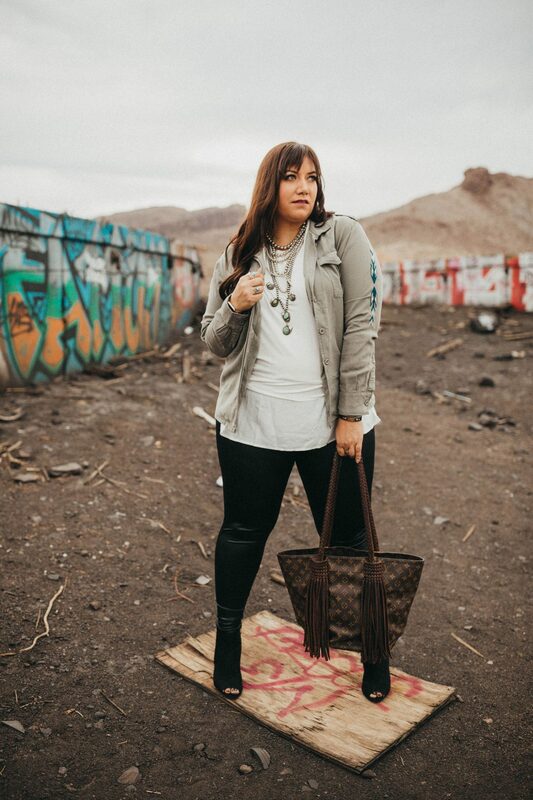 I highly recommend y’all check out her blog page and Girl Boss Interviews, her fabulous Facebook page and not to mention a personal favorite Bleacher Babe’s Closet! The Closet is a private group but you can ask to join but please read all the rules before posting! I hope you amazing reader’s truly enjoyed tonight’s blog as much as I did! Thank you again Brianna for taking time out of your busy schedule to join us tonight and share a little Graceful Glance into your fabulous life! Ladies keep stylin’ smilin’ and lovin’ God! Whatever you are facing right now know that He has your back and will get you through! As Brianna told us earlier! Psalms 46:5 “God is within her, she will not fail!” Have an amazing graceful and stylish weekend!! Blessings! This Graceful Glance is with one of my favorite people Quinn! She is more like a beautiful little sister to me! She is amazing and talented in so many ways! I wanted to highlight her talent with hair and her heart for God in this interview! So with that said and so much more to say I would love to introduce you to Quinn! When Quinn started cosmetology school I remember her quick talent for it on one of our girl days! I would take pictures of her and she would show me something with my hair! Perfect trade right? Right!!! She is beyond talented and now a few years later she has started her business Made Beautiful-Hair Couture by Quinn! First off I am beyond proud of her and her accomplishments when I saw this picture on Instagram one day and was just awe struck! The intricate look this has was just stunning to my eye! Amazing Right?!! Yes I know just ahh-mazing! Ok well let’s get into the interview part of this fun blog! H: What inspired you to start doing hair Quinn? Q: I didn’t know this was what I wanted to do growing up. I knew I loved anything that involved being creative and of course fashion and beauty; but it wasn’t until I got to do my first up-do on somebody that my passion for hair styling really grew. H: What is your favorite part about doing a wedding or event look for somebody? Q: My favorite part about being a bridal hairstylist is being able to make these girls look and feel their absolute best on the most important day of their lives. H: What is your favorite way to wear your own hair? Q: Although my job is to make other women look fancy, I typically like low-key styles when it comes to my own hair. Loose waves and chic ponytails are my go to’s! H: Not only do I just adore you and your talent, I also admire your style! What are you most excited to wear this fall and how would you describe your personal style? Q: Anything that’s warm! A skinny jean with high boots, a cute sweater and infinity scarf is my go to style for fall. I am also loving vests lately! My personal style is different from day to day. Some days I will be running around in a fancy dress with heels and the next it will be pants and a loose top. But overall I am typically drawn to anything that has a dressy flair to it but is also comfortable and functional for whatever I am doing! H: You inspire me daily and are always lifting others up around you. We both have had some amazing influences in our lives one being our parents who have helped us put God first daily, what is your go to power scripture and why? Q: Philippians 4:13! This one always reminds me that in God’s power and with His strength I can conquer all things big and small that might come my way! I am so beyond grateful that Quinn was able to stop in and join us for a closer look into her business and life. Thank you Quinn for inspiring us all to strive for our dreams, goals and desires of our hearts! Proverbs 3:5-6 says “Trust in the Lord with all your heart and lean not on your own understanding in all your ways acknowledge Him and He will direct your path!” Thank you again you are truly amazing and talented in so many ways. Love you chica! Thank y’all for joining me on this Graceful Glance Interview with Quinn! Remember Keep stylin’, smilin’ and lovin’ God with a little Grace & Style! If you are have a wedding or big event coming up look her up below I will list how to get in contact with her I promise you won’t be disappointed in your hair or company! Current Services Offered: Specializing in hair styling and hair extensions. Coming Soon: Airbrush makeup and eyelash extensions! BE ON THE LOOK OUT FOR ANOTHER BLOG WITH QUINN SOON WE HAVE SOME FUN HAIR STUFF PLANNED!